For all the cool musically based start-ups..there are about a bajillion weird or wacky ones. We scoured the internet for some of the craziest that are actually coming true (and are pretty damn cool) by way of Kickstarter. The PLAYBULB is an LED light bulb that can play music via Bluetooth connection. The PLAYBULB features a variety of colors and lighting patterns that are controlled through the PLAYBULB smartphone application. Since this device can be plugged into any average light fixture, the device can be used in a wide variety of spaces. In addition to simply playing music, the PLAYBULB app allows you to set alarms using lighting and your personal music as alerts. This Kickstarter campaign aims to support EDM artist David Anderson as he prepares for a performance on New Year’s Eve in Minneapolis, Minnesota. David was diagnosed with ALS; among other symptoms, he lost his ability to communicate normally. The nerve damage in his body would not allow for voice communication and he was no longer to use his arms. With the help of computer software created to be controlled by the users eyes, David Anderson was able to continue creating dance music even beyond his ALS diagnosis. This Kickstarter rewards backers with tickets to the show or recorded CD/DVD copies of the performance. Partnered with Life Is Art Studios out of Raleigh, NC, GF*W throws events in the style of dance music shows. Their shows feature LED walls, custom visuals, confetti canons, and their very own custom-built DJ booth. The goal, as stated in their Kickstarter campaign video, is to spread “positivity through reckless self-expression.” In this campaign, the groups goal is to bring their event on a road tour leading up to SXSW Music Festival in Austin, Texas. This campaign aims to deliver a new music festival must-have. 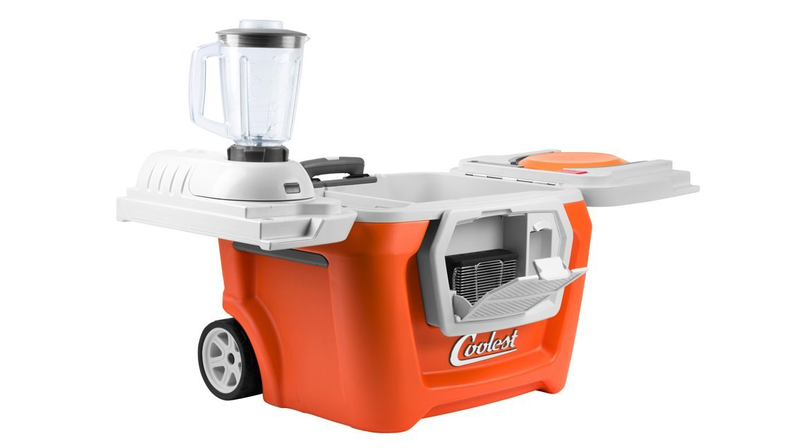 The coolest cooler is stacked with features that will make for the ultimate outdoor entertaining experience—complete with a Bluetooth speaker, blender and waterproof USB port. In news that may blow your mind as fast as that blender can mix up a margarita, this campaign has raised over $13 million although only originally looking for $50,000. Music for Cats is a campaign towards the production of a full length “species-specific” album. Designed with sounds of chirping, meowing, a mother’s purr, and other feline-friendly sounds— this Kickstarter claims to have created the first music of its kind and claims to be scientifically backed. By evoking feline feelings, this music is said to keep your cat calm and collected.